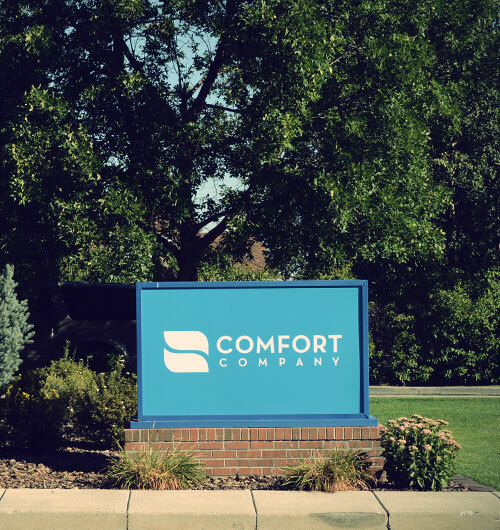 Comfort Company manufactures seating and postural support systems, designed for people with a wide range of rehabilitation needs. Whether pediatric, geriatric, or bariatric needs, we are committed to providing our customers with quality products designed for comfort, durability, and ease of use. Our vision is to lead in the development, manufacturing and delivery of the most innovative seating & positioning products which provide the highest level of comfort, functionality, and quality of life for end users. “I see your products as an Erector Set that I can use to construct the most bizarre seating systems. Since using your products, I do far less molds. Molds are one and done, they are static and if the patient changes the mold has to be carved down, built up or redone. Your products give me the ability to make subtle changes once a week if I need to. I learned several years ago that sometimes 1/4 inch can make a huge difference in a patient's comfort. When Will introduced me to your products, I said 'finally, someone gets it.' Ours is an industry where you either get it or you don't and if you don't then you never will. Working with Comfort Company I always get great service, great products, and people who I know are not just selling products but actually care about the end user. People don't care how much you know until they know how much you care. “Thank you doesn’t begin to cover the amazing gift I received on Tuesday! I cried tears of joy when I heard about your gracious offer on Friday, and by Tuesday (an amazingly speedy turn around) – it was real! I couldn’t believe it...it was real! I opened the box, switched out my Curve for the Embrace...and oh my goodness, what a wonderful fit! ...but not now! The Embrace has changed everything! Now my body and pelvis fits perfectly into the Embrace...my lower back tucks against my backrest comfortably...my sitting balance has improved to the point I’m almost not tilting sideways (at least not at home), my pelvis and body doesn’t slide forward constantly (almost never) – it’s totally comfortable...I’m so amazed that one cushion, one tiny little change, can do all this good! The rigid insert feels great, the cushion feels absolutely wonderful...previously my chair was a way for me to get around, to sit comfortably, for doing all the activities I wanted to do, over long periods of time, to hold me in place; now it truly is! I am so amazed and thrilled with this...it is totally worth it! Thank you to you, Robin, for being an awesome person, and thank you for working for a wonderful company that truly understands “comfort” in a chair (and the importance of weight). I am incredibly thankful for the ability to try this out – I found out what a difference a simple change made, and how supportive an “Embrace” cushion can be! I definitely feel “embraced,” that’s for sure! 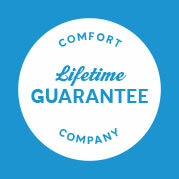 Comfort Company produces all of our seating products in our state-of-the-art facility in New Berlin, WI. Sewing, fabrication, assembly, and shipping all work together to produce and ship your products in a timely fashion. We have a highly trained customer service staff located in Bozeman, Montana to help you answer any questions you might have. Our product quality is unmatched in the industry. Our products are guaranteed for life against manufacturer's defects. We will gladly repair or replace any products at no charge. Online orders over $750.00 receive free shipping* (prepaid regular ground). Orders ship within 3 business days. Phone/fax orders over $1,000 receive free shipping (prepaid regular ground). Orders ship within 3 business days. An $8.50 handling fee will be applied to all orders. 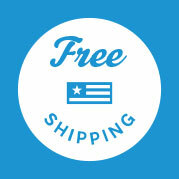 *Free shipping excludes the HALO product line and international orders. All products are guaranteed for life against manufacturer's defects. We will gladly repair or replace any products at no charge.